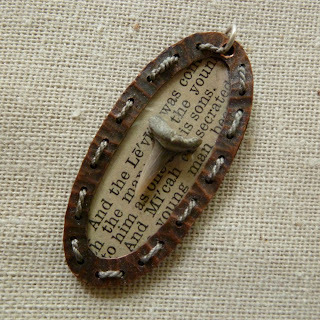 Mica brooches and necklaces to go with the earrings. I was asked to be a beta participant in promotional website 10xNine. 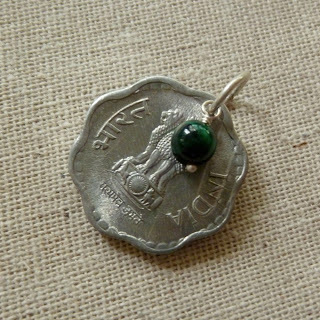 This site showcases nine items from nine different online shops and viewers are asked to look at the shops and leave a comment on their favorite item, in order to be entered into a drawing for a $90 gift certificate (or 3 $30 store vouchers which can be used in up to 3 different shops). 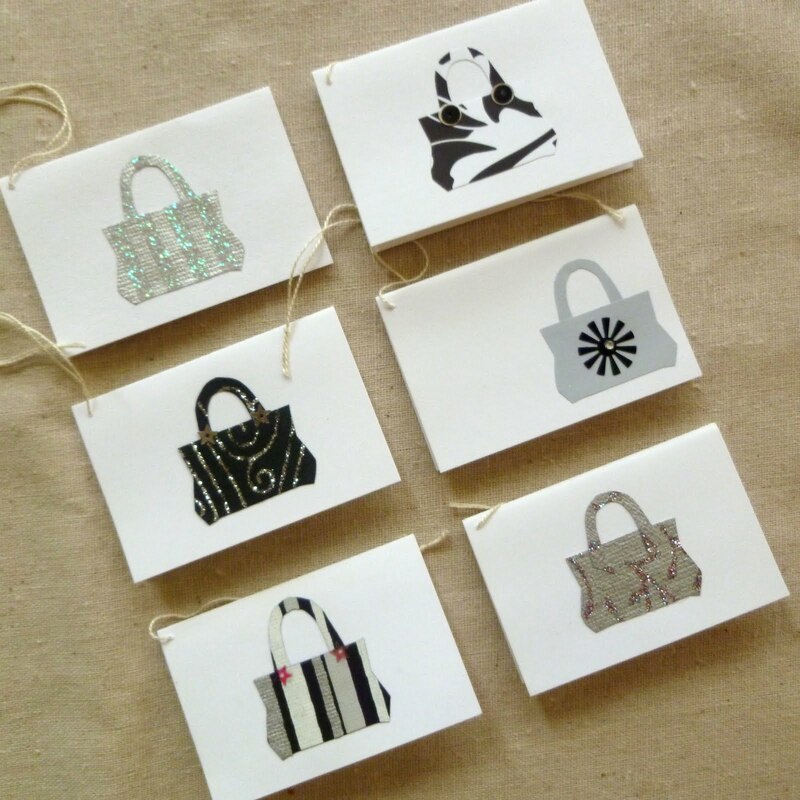 My set of gift tags is currently featured in the Black and White collection, which will be up until 2pm EST on Wednesday. I'm super excited about all the paint enamel techniques I learned this summer with Jessica Caulderwood. I had purchased myself a set of acrylic painting enamels from Thompson. We didn't cover acrylics in Jessica's class, focusing instead on underglazes and overglazes, and I didn't get a chance to try these out until just last week. The paint is a little hard to control and rendering is something I feel like I have to do a dozen times before I get it right. The firing on these is a little tricky also; they burn out really easily. Plus, even though I got the soft flux, I still had problems with the white base coat coming up through. I deliberately overfired the example on the far right, to see if I could get a more "sketchy" quality. I'm not super happy with these, but it's a start. Finally got around to added some things to the shops yesterday: books in the paper shop and charms in the jewelry shop. I'm really excited about the books. 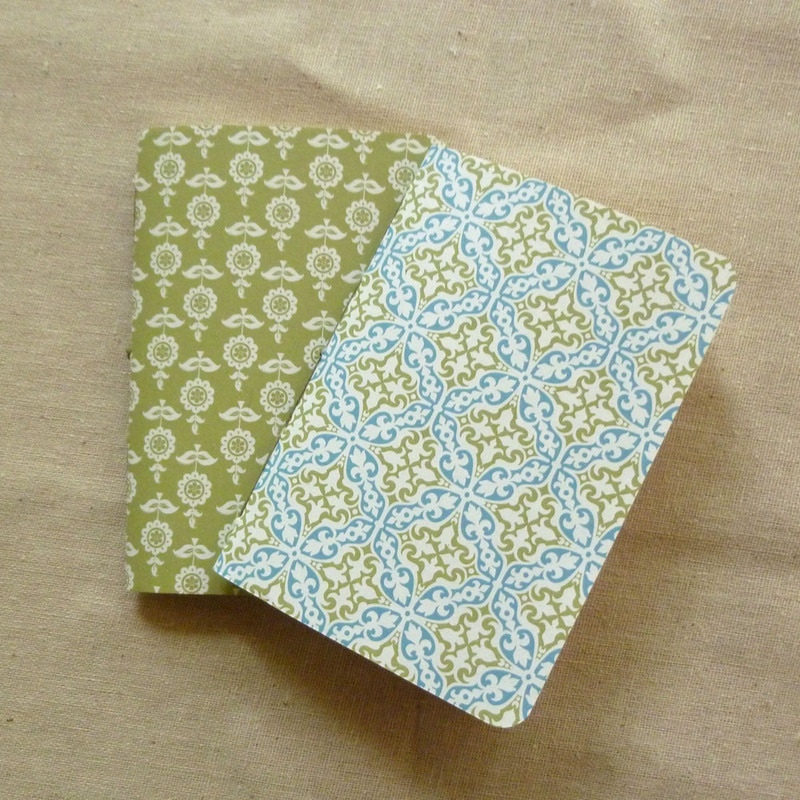 The paper is double sided so the design on the front cover of one book is on the inside of the other book, making a perfectly coordinated pair. The charms are a just a few bits and baubles I made at Peter's Valley. 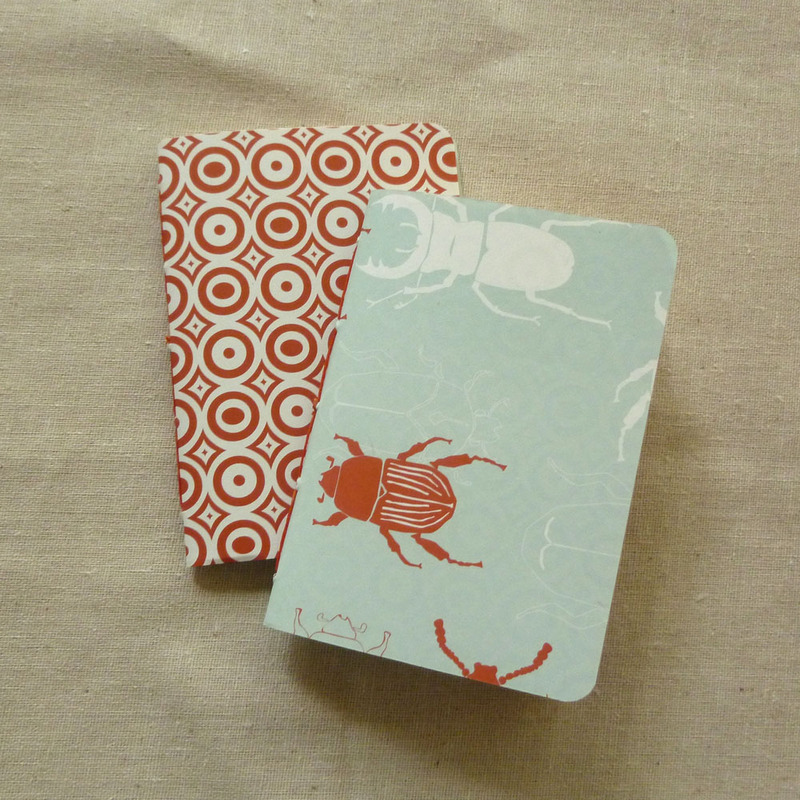 You can check out my paper shop here. 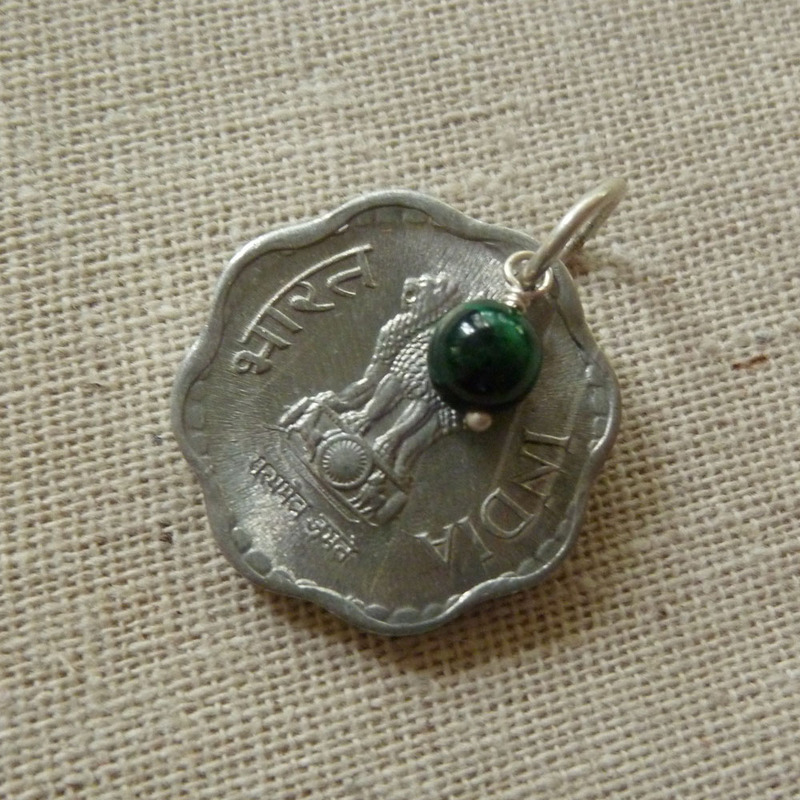 And my jewelry shop here. Remember when I said last week I was going to be back to blogging more regularly? Well, I'm not doing a very good job, am I? Turns out settling into someone eles's house and studio, even in a town I know, was more stressful than I anticipated. Also, all my friends here are either still in school, or work at ECU. I'm well on my way to becoming a semi-professional house sitter. Which seems like a fantastic use of my education. I suppose I'm feeling a little post-partum depression with having finally finished school. Anyways, I thought I'd blog a little more about my Arrowmont experience, even though it seems so far away now. I was there for six weeks, three weeks of work followed by three weeks of class. It was really great, but really intense and exhausting. Especially when your roommate's alarms start going off at 5:45 in the morning. I got to meet an incredible group of people, and we did manage to have some fun when we were off duty. If you haven't been to Gatlinburg, TN, it's rather hard to describe. Arrowmont is this little secluded bubble of art and creativity up on a hill overlooking "The Strip". The Strip is a non-stop neon carnival that caters to tourists. You can find a variety of min golf, old time photos, and air brush T-shirt establishments, wedding chapels, arcades and anything deep fried. Seriously, the whole town smells like hamburgers. The strip is fun in small doses, great for people watching. We would venture out occasionally for Tuesday night karaoke and $1 beers. 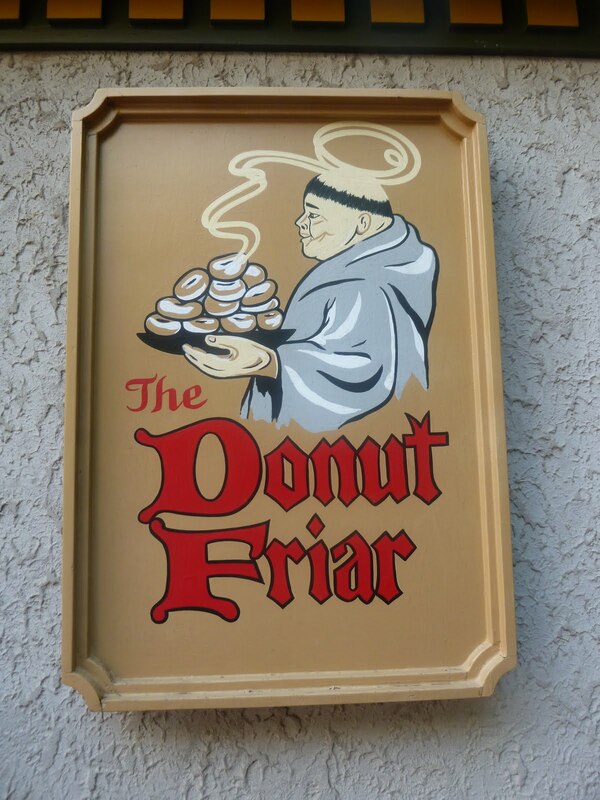 My favorite place was of course The Doughnut Friar. 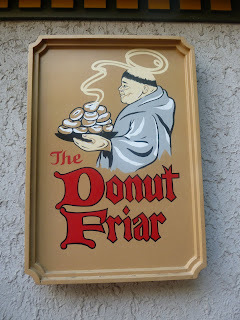 Best doughnuts ever, and a 3 minute walk from A-mont. 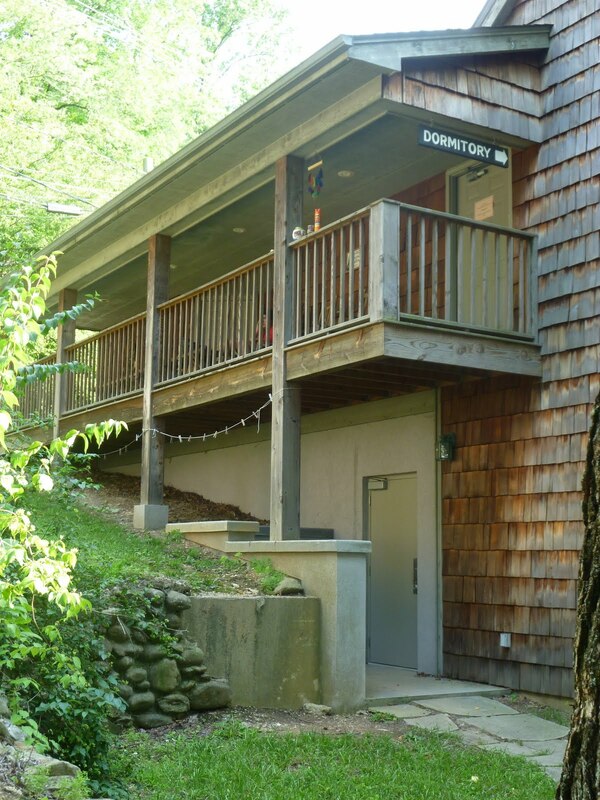 This is Pollard dorm where we (when I say "we" I mean the other studio assistants and work studies, occasionally joined by the fantastic Artists in Residence, or students from the workshops) spent most of our time hanging out on the porch and drinking beer. I'm not gonna lie. I drank a lot of beer at Arrowmont. Arromont has the most amazing little library. This is just right outside, where you could actually get Wi-Fi. 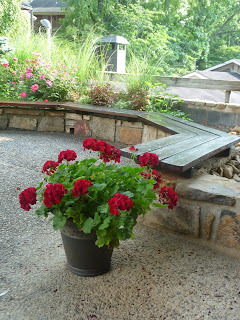 I loved this spot because of the geraniums, and other flowers. The whole Arrowmont campus is just so beautiful. I'm an ocean girl through and through, but by the end of my 6 weeks, I really began to fall in love with the mountains. If you went out past The Strip you wound up in the Smokey Mountain National Forest, only about a mile away. I loved the forest and I really wish I would have spent more time there. A big part of Arrowmont culture is the Swimming Hole, up in the forest. The swimming hole is pretty, and had some cool rocks, but overall, not my favorite. I'm not really into cold water, and both places I went swimming at Peter's Valley I liked a lot better. But I also hated "Taco Day", so what do I know? Where in the World. . . .? Well, my wild and crazy summer of travel is finally coming to a close. Back in June, I packed up my Greenville studio and apartment, and headed for Gatlinburg, Tennessee. I spent 6 weeks as a studio assistant at the Arrowmont School of Arts and Crafts, then headed home to PA at the end of July. I visited with my family for a few days before heading out to be the studio assistant in Fine Metals at Peter's Valley Craft Center in Layton NJ. I spent a week dog sitting in suburbs of NJ, which is where I was when Irene came through. I have to say, it was so hard watching all the footage and pictures of the damage in NC. The hurricane knocked out the power at PV for almost a week, and so the Labor Day Weekend workshops were sadly canceled. I went back home a few days earlier than I intended, so I got to spend an entire week with my family before taking off again. So where am I know? Right back where I started from. Due to one of those funny little quirks of life, I wound up back in Greenville, NC, where I'll be cat sitting for Linda Darty while she and her husband are teaching in Italy with the ECU Italy Intensive program. It's a little strange being back, but all in all, I'm looking forward to it. I've got a ton of things I'd like to accomplish in the next three months, including a trip to the beach at the first available opportunity. I'll be blogging more about my summer and my plans for this fall over the coming weeks.